This is one of the few places where you can combine sport and sightseeing! 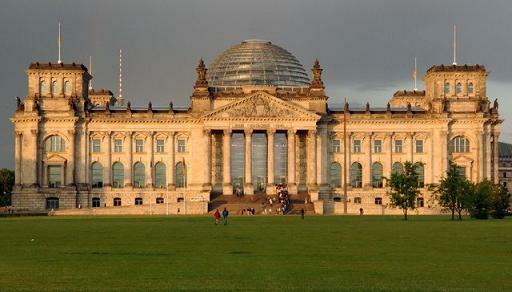 While the southern park of the track runs through the green lung of Berlin - the Tiergarten - the northern part passes the most famous government buildings, such as the Reichstag or the Bellevue Palace, home of the german president. 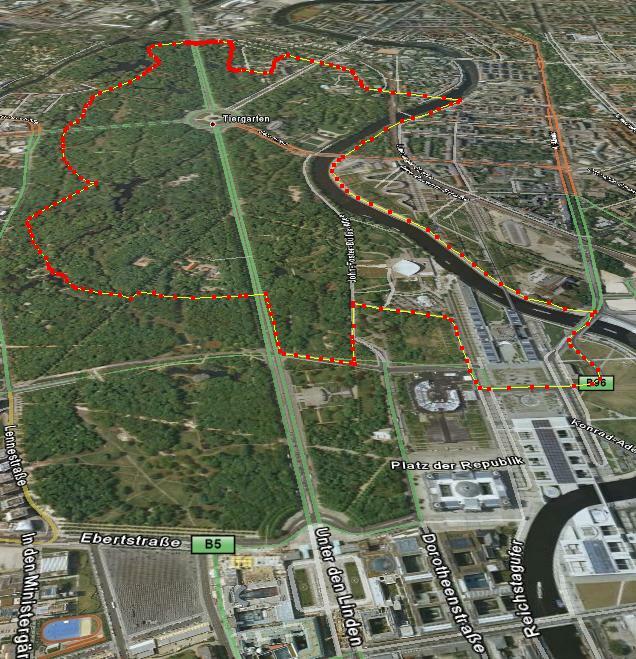 The track lies in the heart of Berlin, very close to the Brandenbourg Gate and the Reichstag. It crosses directly the recently constructed government district. You can best start from the Hansaviertel (the red point on the left on the map). 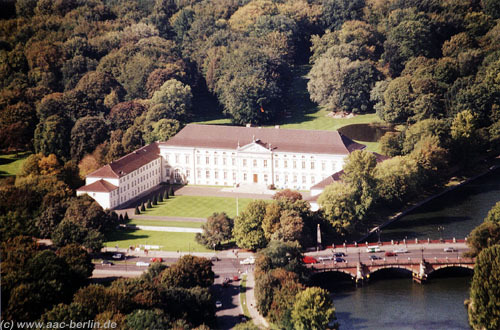 The route passes by the new Ministry of the Interior and Schloss Bellevue (Bellevue Palace), official seat of the German Federal President. Next comes a group of residences for government employees commonly referred to as the "Bundesschlange" ("Federal Snake"), and finally the "Band des Bundes" with its solitary buildings: the administration buildings of the German Parliament, the German Parliament "Reichstag", and the new Federal Chancellery. The enter in the Tiergarten, Berlin’s "Central Park". Here you are, back to the Hansaplatz. By public transport: take the U9 underground line until "Hansplatz". The track: The total length is about 7.7km, bringing you back to the departure point. 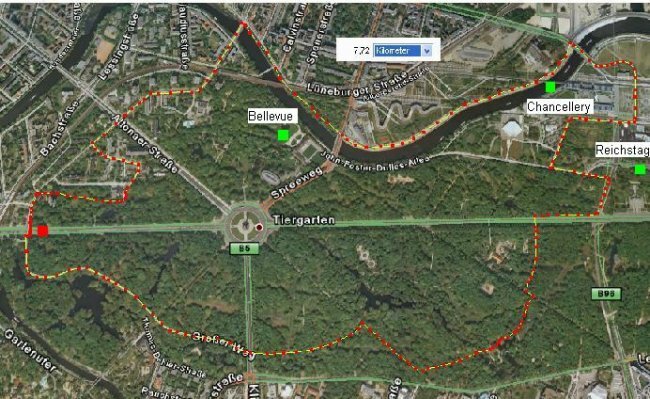 Within the Tiergarten you can vary the tracks of course, the one indicated serves just as a reference. It is mainly on large tracks or small asphalted roads, and the relief is essentially flat. Water point: Didn’t see any..
Good to know: If you are tourist, take your camera with you!